Hands down the best way to stay on track during a busy week is to meal prep, so today I've got 15 brilliant meal prep ideas to help save you time and keep you on track! Did I miss any? Leave a comment below to share your favourite meal prep tip. You know how much of a smoothie person I am and while they really only take 5 minutes to begin with, one way to save time is to pre-portion out your ingredients in advance. Portion out your dry smoothie ingredients (everything that goes into your smoothie including the greens, except for the liquid) into little bags or tupperware and store them in the freezer. Then, when you want your smoothie, simply grab one bag from the freezer and dump all of the ingredients into your blender, add liquid and blend! Make sure there’s some protein in your smoothie because that’s what will keep you full for longer and make the smoothie more satisfying. 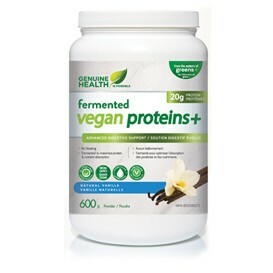 We’re big fans of Genuine Health’s Fermented Vegan Protein because the protein is fermented, making the nutrients more bioavailable and the powder easier to digest. No bloating from protein powder with this one! How many times have you bought some vegetables for the week, only to have them sit there and go bad in the bottom of your fridge? I find the best way around this is to prep the veggies in advance (on your meal prep day), whether that’s spiralizing, grating or slicing them so that you can just grab and go during the busy week. A HEAL favourite is to spiralize your zucchini noodles in advance, and make a batch of pesto. It’s the simplest (and most delicious) 5 minute lunch ever! Grated veggies, like carrots and beets, make for excellent salad toppers and add some different textures to your salads. Plus, different textures make meals more satisfying! Lastly, even just chopping vegetables for dipping into hummus or other dips will make you more likely to snack on them throughout the week. Put the dressing on the bottom of the jar (or in a separate container) so it doesn’t go soggy, and then add your protein, grain, veggies and greens. When it’s time to eat it, pour it out into a plate or a bowl and mix well. If you’ve ever shown up to the grocery store without a list you know it’s the least productive way to shop. I always recommend you go with a list (which is why our weekly meal plans give you a grocery organized by section of the grocery store). Not only does a grocery list save you time, but it also saves you money because you only buy EXACTLY what you need. Whenever I’m in the kitchen, I try to cook multiple recipes at once. If I’m going to be in the kitchen already, might as well make the most of it, and then not have to cook for the next couple of days. Here’s the catch: I don’t actually cook one recipe from start to finish and then move on to the next; rather, I look at everything I want to make and often cook parts of multiple recipes at the same time. Let’s say I am making some egg muffins for a snack and baking some chicken. They both require 350F, so I’ll prep both of them and get them cooking at the same time. Or, if I’m cooking something like spaghetti squash that takes 40 minutes to bake, I’ll get that going before I start everything so that it’s not a bottleneck. My general rule of thumb is to start with whatever requires the hottest temperature or the longest cook time and get that going. Work your way down to whatever doesn’t need cooking (like a salad dressing or assembling a salad). A food processor is a bit of an investment, but will save you so much time when it comes to meal prep. I use the grating option to grate entire cabbages, beets or carrots in 30 seconds flat. I also use it to mix sauces, make avocado pudding, banana nice cream, and more! I use the large Cuisinart food processor because I find it’s not actually that big, and the small one just doesn’t fit enough. You can use a cheaper cut of meat because it’s cooked at a lower temperature for longer, making it a lot more tender. Want to save even more time? Like your smoothies, pre-portion out everything into a bag or tupperware and freeze it in advance. Then, in the morning you can dump all of the ingredients into the slow cooker and turn it on low for 8 hours. When you get home after work your house will smell delicious, and you’ve got dinner ready! We share tons of crockpot recipes in our Weekly Meal Plans. As much as it’s awesome to have most of your snacks be homemade, I always travel with some backups in my purse or car. 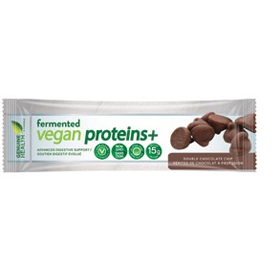 My favourite protein bar is the Genuine Health Fermented Vegan Protein Bar, and they just launched two new flavours: Maple Walnut & Strawberry Pistachio - need I say more? The perks of this protein bar are that they contain 15g protein, 9g sugar and 10g fiber. Then, because the protein has been fermented, it's easier on your digestive system and the nutrients are more bioavailable. I had to add this one because this is your best way to save time meal planning. I take the time to plan out your recipes in a meal plan (and ensure there’s a proper balance of protein, fat and carbs), create a grocery list organized by section of the grocery store and you simply do the shop and cook! The meal plans have a focus on 30 minute meals and crockpot meals - you definitely don’t need to be a chef to make these recipes, but they taste delicious! It's perfect if you just don't want to think about what's for dinner, but still want to ensure you're eating healthy all week long. Click here to learn more about the HEAL Weekly Meal Planning. Meal planning doesn’t always require elaborate recipes. You can just make a large batch of the basics on a Sunday, like chicken or salmon, roasted vegetables and quinoa or yams. Then, each day you can either add one side dish recipe or a new sauce or dressing to the leftovers. That way it feels like a different meal, but you’re likely only spending 10-15 minutes in the kitchen each night during the week. I’m all for home cooking, but there are some things that you don’t have to compromise quality when you buy pre-made. Some examples include hummus (look for ones made with olive oil vs canola oil), guacamole (watch out for added sugar), and salsa. All three of these can work as dips for snacks, or as a topper for a meal to add extra flavour. This is less of a timesaver and more of a sanity saver. I love getting the grocery shop done separately to when I have to cook sot hat it feels like i’m not actually spending so much time cooking. My typical routine is to shop Saturday and cook Sunday. 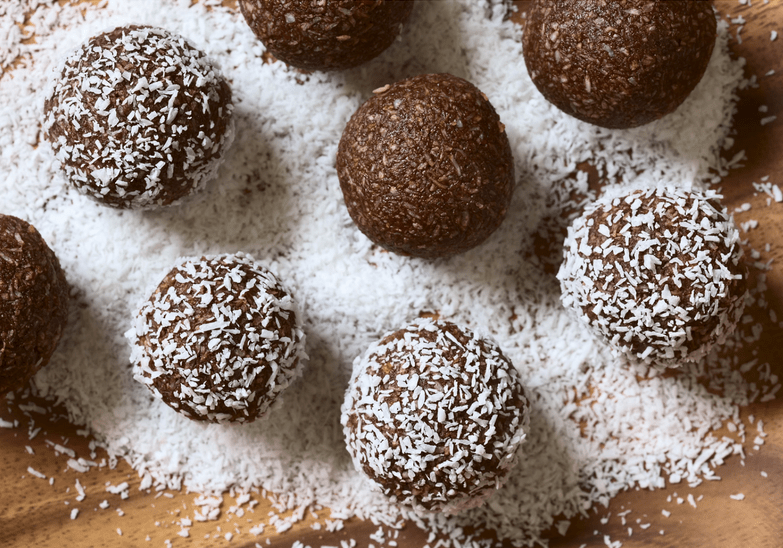 I love love love making some low sugar energy bites because they are so satisfying when a craving hits and they keep my energy up all afternoon long. Here's the recipe I made this past Sunday before traveling for the week. One batch should last you the whole week! There’s nothing more frustrating than going to make a recipe and not having an ingredient. I always recommend you stock up on the basics that you might not find at a regular grocery store once or twice a year by doing a health food store shop. Some of the basics include protein powder, nuts and seeds, raw cacao powder and nutritional yeast. It’s so easy to put off meal prep on a Sunday. Sometimes, it’s the last thing you feel like doing - I’ve been there. What I will say though is I’ve NEVER regretted meal prepping ever. It’s kind of like exercise - there are no downsides of doing it and you’ll always be happy you did it!